While Apple and Samsung continue to duke it out in a court of law over patents, one of Cupertino's primary targets received a stay of execution. The United States Court of Appeals for the Federal Circuit ruled that Samsung's Galaxy Nexus smartphone can remain on sale pending an August 20 hearing. 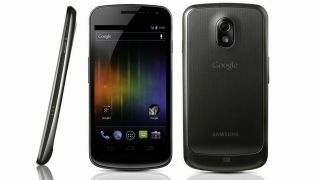 The first handset shipped with Android 4.0: Ice Cream Sandwich, the Galaxy Nexus was briefly banned for sale in the U.S. as part of Apple's patent battles with manufacturer Samsung, a decision that the appeals court first overturned on July 6. Although the Galaxy Nexus has been given a reprieve until the August 20 hearing, the handset isn't out of the woods quite yet. Samsung is expected to provide a filing on or before August 6 to clarify why the device does not infringe upon Apple's UI and design patents. But a failure to do so could result in the ban going back into place as quickly as it went away. It's particularly bad timing for Google, who used their recent Google IO developer conference to announce a price cut on the unlocked version of the Galaxy Nexus sold on their Google Play store, which was upgraded to Android 4.1: Jelly Bean last month. Meanwhile, as of Monday, Apple and Samsung are arguing their case before a judge in San Jose, Calif., over accusations that the Korean manufacturer aped the design of the iPhone and iPad in creating their Android-powered, Galaxy-branded devices.